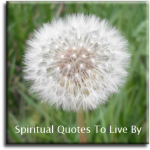 This page contains aging quotes from sources and authors surnames M through to Z. The other page is: A to L. There is also a page of Aging Sayings with wise words about getting older from unknown sources. You are as young as your faith, as old as your doubt. As young as your self-confidence, as old as your fear. As young as your hope, as old as your despair. Cherish all your happy moments, they make a fine cushion for old age. As the number of old people will grow, the world will gain in wisdom. Genius can flower in a young person and in an old person. It can be a precocious capacity or the result of a long life experience. I take always solace from the fact that St Augustine started to write the City Of God at the age of 59. My physical body may be less efficient and less beautiful in old age. But God has given me an enormous compensation: my mind is richer my Soul is broader and my wisdom is at a peak. I am so happy with the riches of my advance peak age that, contrary to Faust, I would not wish to return to youth. Old age is not a diminution.. It is a peak experience. Older people are closer to God. Therefore, they are better transmitters of wisdom and spirituality. The richest product of advance, old age is wisdom and story telling. The sand of my life is running out.. Is it white, black or golden sand? To those who see this world as part of God’s Creation, death will come naturally and gently. When I was a child, I spoke like a child. When I was an adult, I no longer spoke like a child. When I became old and wise, I spoke again like a child. I wish I had spoken all my life like a child. Wise elderly persons should become gurus. The teaching of wisdom should be the main function of the third age. We should create third age universities or at least faculties. Many people can't stand the thought of aging, but it's the crystallized thought patterns and inflexible mind-sets that age people before their time. You can break through and challenge your crystallized patterns and mind-sets. That is what evolution and the expansion of love are really about. An hour with your grandchildren can make you feel young again. The spiritual eyesight improves... as the physical eyesight declines. By the time beauty has gone, hopefully, wisdom comes to tell you that it doesn't matter. His eyes will guide my footsteps, when faltering age is near. His light will lift my darkness, and help my ears to hear. Age is like the sugar in a teacup, and the last sip is always the sweetest. Like a morning dream, life becomes more and more bright the longer we live, and the reason of everything appears more clear. What has puzzled us before seems less mysterious and the crooked paths look straighter as we approach the end. A man's age is something impressive, it sums up his life: maturity reached slowly and against many obstacles, illnesses cured, griefs and despairs overcome, and unconscious risks taken; maturity formed through so many desires, hopes, regrets, forgotten things, loves. A man's age represents a fine cargo of experience and memories. I look forward to being older... when what you look like becomes less and less an issue, and what you ARE is the point. Avoid being a 'groan' up. Don't regret growing older... remember that a lot of sugar is to be found at the bottom of the cup. Elderly people are like plants. Whereas some go to seed, or to pot, others blossom in the most wonderful ways. I believe beauty competitions should be held only for people over seventy years of age. When we are young, we have the face and figure God gave us. We did nothing to earn our good looks. But as we get older, character becomes etched on our face. Beautiful old people are works of art. Like a white candle in a holy place, so it the beauty of an aged face. Ages are mere reminders of the hours logged on this Earth, and the precious time remaining. If becoming a grandmother was only a matter of choice, I should advise every one of you straightaway to become one. There is no fun for old people like it. Over the years I learned so much from mom. She taught me about the importance of home and history and family and tradition. She also taught me that aging need not mean narrowing the scope of your activities and interests. As we age we have the opportunity to discover our deeper essence beyond the body and express our inner beauty. In the center of your heart there is a wireless station; so long as it receives messages of beauty, hope, cheer, courage and power from men and from the infinite, so long are you young. Whether sixty or sixteen, there is in every human beings heart the lure of wonder, the unfailing childlike appetite of what's next, and the joy of the game of living. Soon I will be and old, white haired lady, into whose lap someone places a baby, saying "Grandma!" - I, who myself so recently was photographed on my grandmother's lap. The Soul's dark cottage battered and decayed, let's in new light through chinks that time hath made. I may be a senior, but so what?... I'm still hot. I think it's your mental attitude. So many of us start dreading age in high school and that's a waste of a lovely life. 'Oh.. I'm 30, oh, I'm 40, oh, 50.' Make the most of it. Old age is not a surprise, we knew it was coming... Make the most of it. Maturing is... realizing how many things don't require your comment. I don't believe in aging. I believe in forever altering one's aspect to the sun.